* air: d = (a - l_cr) / 2, "(a - l_cr) / 2"
* air: d = b, "b"
* air: d = d, "d"
Note that the closing air space is added automatically. 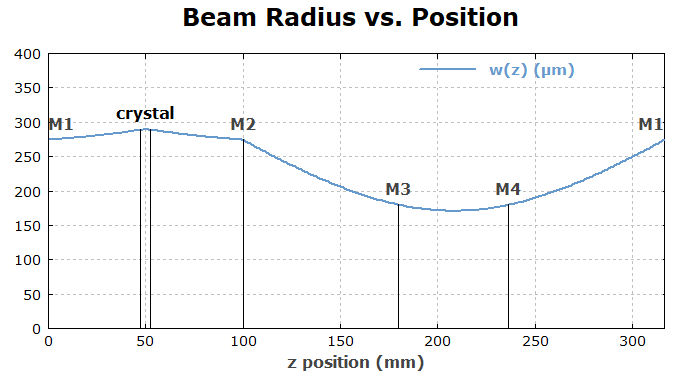 Also, the software automatically adjusts the incidence angles on mirrors M1 and M4 such that the beam path is closed. 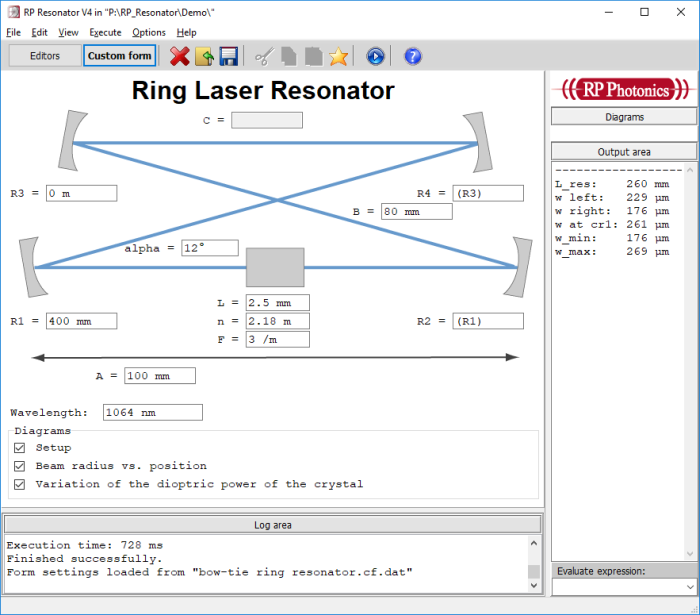 Some additional lines of code draw vertical lines and text labels, indicating the positions of the optical elements. For convenience, the function ShowLine(z) has been defined. 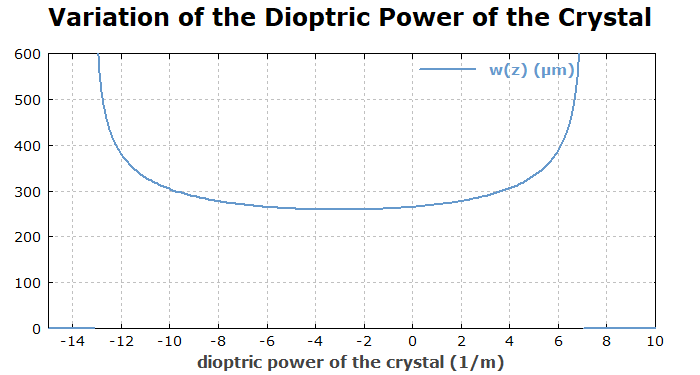 "Variation of the Dioptric Power of the Crystal"
This means that you don't any more have to edit the input values (arm lengths, angles, etc.) in the script code, but simply in the form.